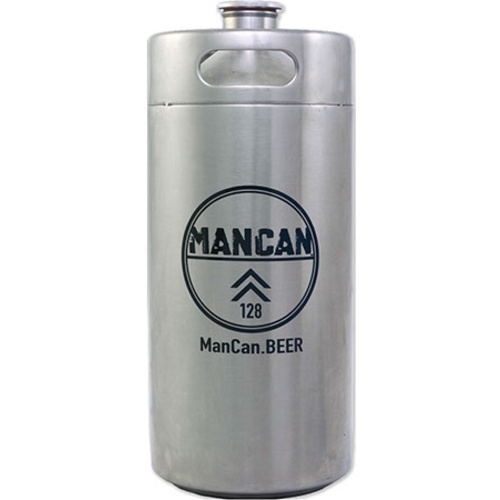 The ManCan is an indestructible one gallon, patent pending keg that will keep your favorite beer fresh, carbonated and on the go. 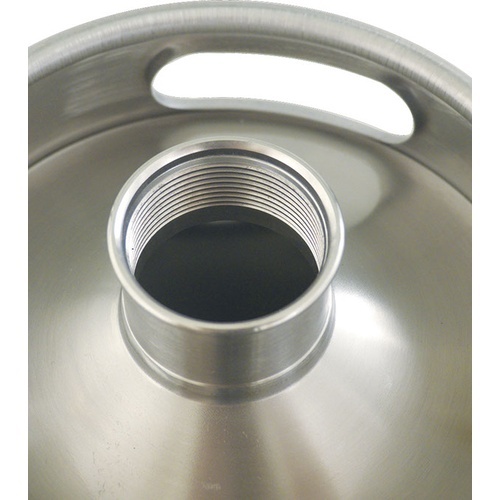 Made from stainless steel ManCan's are made to very high quality standards. The unique threaded lid removes for easy filling and cleaning. ManCan also has tapping systems that will thread in for a true on the go experience. As a growler replacement have it filled at your local brewpub. For homebrewing use it as a 1 gallon keg. How do you fill this keg properly at home from carbonated, kegged beer in order to keep the beer from going flat? BEST ANSWER: Hello Aaron - We would recommend using a growler filling spout or counter pressure filler. These will let you fill from the bottom to greatly reduce foam and turbulence, thus fresher carbonated beer.